Kanpur is the largest city in Uttar Pradesh state of India. It is well-known for its great history and its cuisines and is the most populous city of Uttar Pradesh. It is also famous as the Leather city of India. Kanpur is located on the banks of the Ganga River and counted as one of the major North India’s industrial centers. At present, Kanpur houses several educational institutions and universities which have made it a very popular educational center in India. As per 2011 census, the average literacy rate of the people of Kanpur is 79.65 %. Here, in this article we will talk about the Top Engineering Colleges in Kanpur 2016. 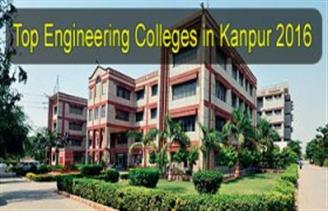 We have listed the top engineering colleges in Kanpur for the session of 2016 at singheducation.co.in. The list consists of various government and private colleges and institutions located in Kanpur.